Hello Dealsnloot Readers, here is the great news for Movie lovers. BookMyShow, everyone's favorite movie booking site is back again with new Refer & Earn program via which you can grab free Rs.100 BookMyShow wallet money once you download and SignUp new account. Bookmyshow Refer And Earn, BookmyShow Unlimited Trick, BookmyShow Refer And Earn Rs 100,BookmyShow Refer Code, BookmyShow Loot Offer, BookmyShow Online Refer Script, BookmyShow Free Win Pin. Bookmyshow Get Rs 100 Sign Up Bonus. So Grab This Loot BMS Trick. Update :- Bookmyshow Offer Valid Till Today 5 Pm To Get Rs 30. 2. Now click on Sign Up & create new account. 3. Once you login, goto "You" tab, there you can see Rs.30 in your wallet. 5. Once you enter ref code, your total BMS wallet credit will be Rs.30. 7. Now Book any ticket using your wallet money which you earned. Boom !! Now start referring your friends and earn more wallet money. Per referral you will get Rs.50 Wallet Money. 1. Firstly Book Movie Tickets Worth Rs. 200 Or More. 2. After First Booking You Will Get Your Own Refer Code. 3. 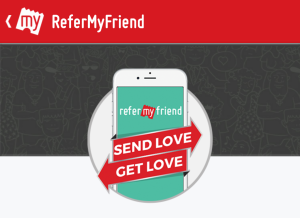 Now Share Your Refer Promo code With Your Friends And Family. 4. Both Of You Will Get Rs. 50. 1. The person who refers will get Rs 50 only when his friend makes his first transaction of minimum Rs. 200. 4. Valid only on bookmyshow mobile app and program is available For Limited Time only.